Enamel earrings are spectacular. 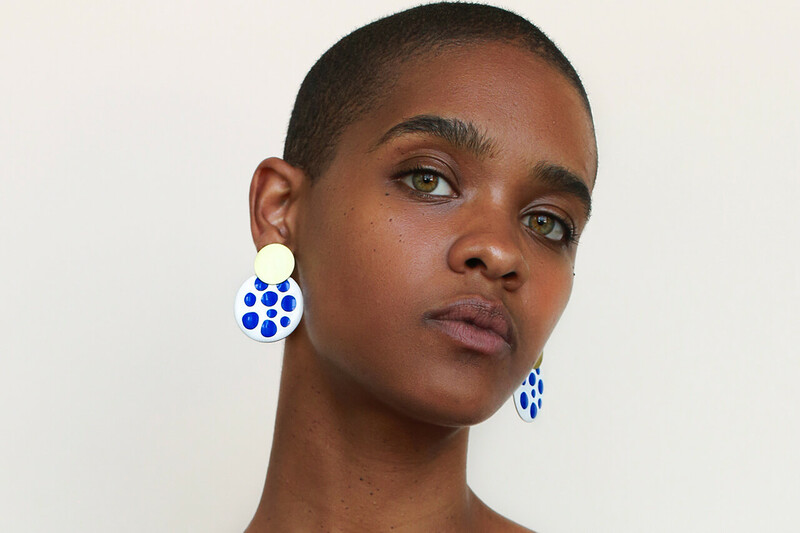 Delicate, surprising and ever-creative, enamel earrings should never miss from a woman’s jewelry box. Luckily for you, Ana Luisa offers a great range of enamel earrings so that you can be a true trendsetter this fall and know how to buy fashion earrings. Read further to find out what is enamel jewelry and discover our top pick for enamel earrings. In simple terms, enamel is a decorate coating on a metal piece of jewelry. It consists of a thin glass powder that is fused to the metal at a very high temperature, creating a vivid color and a spectacular effect. Enamel can come in many colors, but the hardest to obtain is red. There are several techniques to work with enamel, but all of them require experienced and talented craftsmanship. In other words, enamel jewelry is very closely related to art, which makes it so desirable. Last, but not least, when wearing enamel jewelry you should be very careful because it can easily get damaged in case of mechanical shocks. 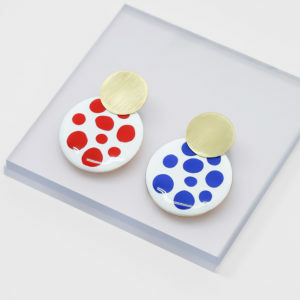 This being said, let’s discover together our top picks for enamel earrings. Enamel jewelry has become more and more popular. This is why we have a brand new collection for you to discover and wear, according to your personal style. 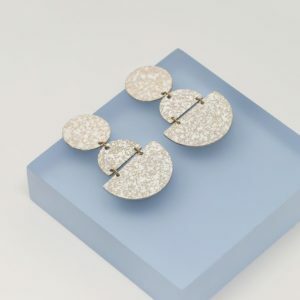 And since we know that jewelry tells a story about the owner, let’s find out together what types of enamel earrings you should wear according to your personality. Our Iris enamel earrings were designed for a delicate and romantic woman. If you enjoy your long walks in the park, greeting the sunrise with a smile and watching the sunset on the beach, then you will surely love these artistic flower stud earrings. Pair them with your favorite chiffon dress or delicate white shirt to let your personal style shine through. We named them “Love” because you can’t help yourself but falling in love with them. 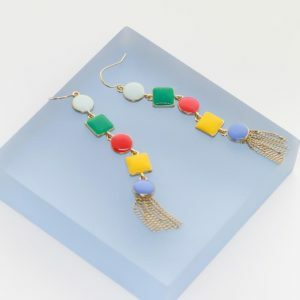 Colorful, charming and playful, these enamel linear drop earrings are exactly what you need. If you are the center of attention to any party, dazzle people with your unconventional style and have a wicked sense of humor, our Love enamel earrings should be in your jewelry box as soon as possible. The best part is that you can match them with any color and wear them with both casual and elegant outfits. You are a voracious Vogue reader and love to add a personal touch to everything you wear. Elegant, classy and modern you are a true trendsetter. This means that our Kinoko enamel earrings dipped in 14k gold will perfectly complement your jewelry box. Wear them with your ravishing smile and mysterious look to create a unique impression everywhere you go. Mismatched earrings are in style and so are you. Unconventional, full of life and always ready to try something new, you are the face of the future. It’s only natural for you to wear these fabulous enamel earrings in red and blue and pair them with your pixie hairstyle. You are never afraid to experiment and this is why all your fashion attempts look fabulous. Wear these earrings with your high-waist mom jeans and that studded leather jacket to create a fresh mix. These hand-painted enamel earrings were created for a woman who loves playing with different styles. You simply adore your geometric jewelry and to mix minimal pieces with statement ones. Sophisticated, chic and adorable, these geometric earrings will add an extra sparkle to your personal style. 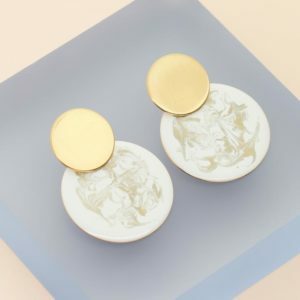 Now that you have all these gorgeous styles of earrings to discover, we are sure that your jewelry box is getting ready to welcome your new pair of enamel earrings soon. And since we want you to be able to wear your earrings as much as possible, here are some tips to help you properly take care of them. Clean your enamel jewelry using a soft cloth and lukewarm water only. Don’t dip the jewelry piece in water, though. Just dip the cloth, then gently rub it. Make sure to be very gentle about it because enamel jewelry can be fragile. Don’t wear your enamel earrings when exercising or doing housework. If you notice that your enamel jewelry got damaged, immediately take it to a jeweler who specializes in enamel work. Make sure to read about them before because not every jeweler has the experience to work with enamel. To discover more fabulous jewelry pieces, visit Ana Luisa online jewelry boutique and browse through our fashion jewelry collections.